With the huge demand for storage at festivals, carnivals, malls and other destination spots, more and more people are looking for a service that not only stores their items, but will also make sure that all of their belongings are safe. Luckily, this man created a business that can cater to all the needs of the storage industry market. Financial officer, Leardo Joson, brought a Japan and South Korean inspired business concept to the Philippines. He adapted their public lockers service commonly seen in these countries and made it a product of his own – with added improvements, of course. This was how Lock & Leave was born. It is a business that focuses on delivering high-quality storage services to the people who are constantly on-the-go. The debut of the company saw relatively high customer acquisition. But, they want more and are now setting their sights on carnivals and malls. Like most Filipino entrepreneurs who took foreign business concepts and applied it in the Philippines, Leardo Joson has had his fair share of rejections and struggles but he ultimately succeeded. “It’s not as hard as most people say it is. Actually, when a business is successful in 1st world countries, then most likely it will also be a huge success here,” Joson said. When he was on a family trip to South Korea and in Japan, the 40-year-old financial officer couldn’t help but wonder about the rapidly growing popularity of public lockers in transportation centers and shopping malls. How can he use this new found idea and turn it into a profitable business? In Japan, most local folks would leave their bags and belongings in the public lockers for lighter, faster, and more mobile travel. “My 10-year-old son told me, ‘Daddy, why don’t we bring this to the Philippines?’ And I asked why? And he said, ‘So we can also help daddies like you,’” he recalled. Joson was the usual “storage daddy”, carrying the bags, lifting the groceries, picking up his kids when they get tired whenever their family went on a trip. 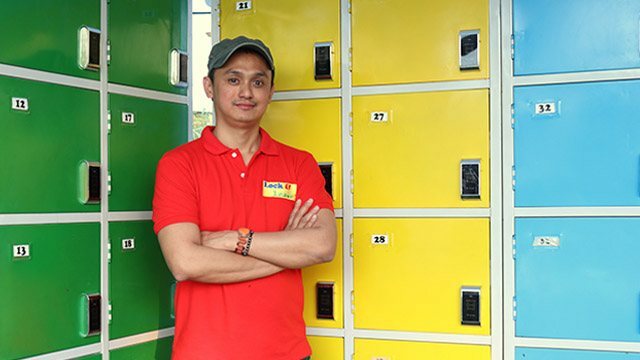 That’s when Joson hatched the idea of starting his very first business venture in the storage industry. He officially launched Lock & Leave in 2015 after saving up a great sum of Php1.1 million. He bought hundreds of RFID-secured lockers and created code IDs that are specifically made for the lockers. Each card is like a fingerprint, no two are the same. The size of the lockers is practical, big enough to contain people’s everyday items. To be specific, it can store at least 3 regular-sized backpacks. 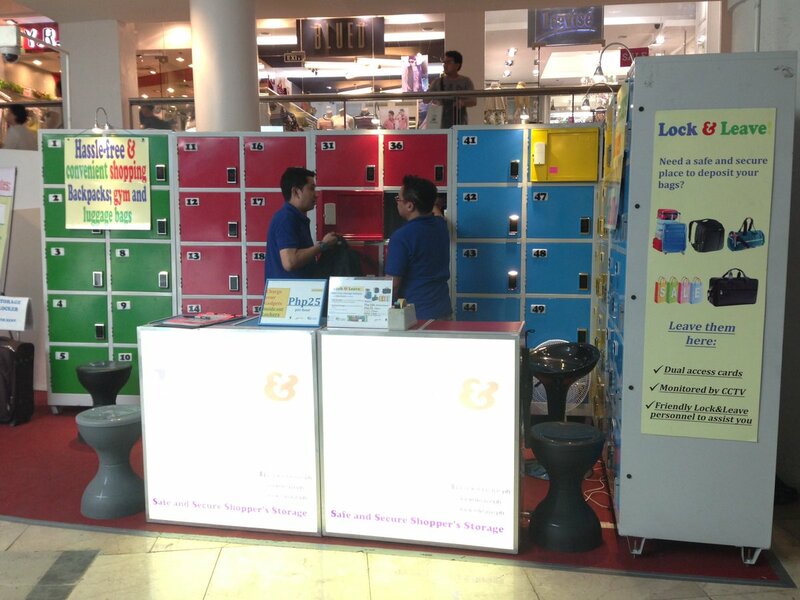 The CEO of Lock & Leave plans to implement its service in most, if not all the major shopping malls in Luzon. Although, the business was highly influenced by Japanese technology, Joson still made major alterations to make it even more efficient and secure. Because unlike the public lockers in japan wherein they use personal PINS in order to open the lockers, Lock & Leave uses a state-of-the-art security system. Besides the tight security system. They also have stationed personnel to guide their customers. Each cabinet, which stands almost six feet high, has eight lockers operated by RFID security. After checking-in their belongings, customers will be given a special identification (SI) card which will be used in order to personally open their lockers. For added security, they also have mandatory staff approval cards, that any personnel in that area can use together with the customers’ SI card, in order to verify and open their lockers. “Some (customers) may lose their card and a stranger can pick it up and claim their items, (so it is) best to have our staff there to verify the real owner of the items inside,” Joson explained. Reserving a locker is easy and affordable. A single unit only costs Php200 and is enough for 2 persons to use. During their early days, they had a hard time gaining access to malls as managements rejected the concept of Lock & Leave. With a lot of hard work, negotiations, and plenty of paperwork, Joson was finally able to establish their first block at Glorieta Mall in Makati City. “I feel there’s a great potential in this, but educating the market about it remains a challenge,” Joson said. Before they set up in big establishments and shopping malls, they first tested the waters by starting out small at local festivals, music concerts, cosplay expos and other outdoor events that are likely to have people who would want to deposit. At the time they decided to take on large malls, they have already been a part of 20+ national events all over the Philippines. 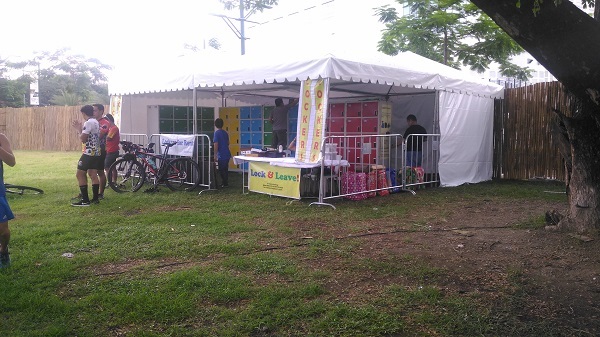 When they finally gained access to the grounds of Glorietta 4, they opened up shop and started advertising their lockers for Php100 for a whole day to rent. Many people quickly rented out units from them, and there were even some who opted to rent the lockers on a monthly basis as they are frequent commuters in the area. As they venture between shopping malls and local events, they found that certain companies were willing to put them in the prime spots, simply because of how much traffic they’re driving to the event. So, as a token of appreciation, Joson offered them part of the revenue aside from the rental fee that they have been paying them. Joson is confident in the durability of his lockers and has received numerous offers for partnerships but said that he would “like to take things slow”.